You Are My Sunflower - Poetry. My sweet Vivian will be 6 years old in two short weeks. I never knew anyone (prior to Vivian) that was born in January. January might be the coldest month of the year but no one has ever warmed up my heart more than my little girl. That January of 2013 felt like the warmest month of my life because the best person in my life was born. And even-though there are 3 decades between us, I kid you not my daughter has become my best friend, my buddy, my sister. She is more than just a daughter to me. She is the love of my life and I feel so blessed every day that I have her! I just wrote this poem for her, because to me she is like a sunflower. 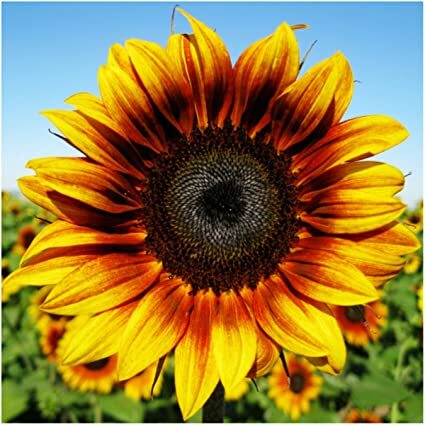 Sunflowers bring light, sunshine and are supposed to be the flowers that put everyone in a great mood and make everyone smile. They are solar like the sun. They make you think positive. In my opinion they are the best flowers out there. This poem is dedicated to my wonderful, darling daughter Vivian. It is a very simple poetry, with simple words but it came from the heart. Viv is my heart! my beautiful daughter, you are a sun-ray! the one that makes me smile for hours and hours! my sunflower, the love of my life! you stand out in all the fields of gold! my little cupcake, let me forever hold your little hand!